The Institute of Railway Research (IRR) at the University of Huddersfield carries out innovative, world-leading research into the interaction between railway vehicles and the track. This work is helping the railway industry to reduce costs and improve safety levels by furthering the understanding of how wheels interact with the track and the resulting deterioration due to wear and tear caused by high stresses. By drawing on cross-disciplinary research and working with high profile industry partners, the Institute is producing cutting edge research with significant impacts for both the rail industry and those using rail services. Part of the Institute’s commitment to encouraging and educating the next generation of railway professionals includes providing opportunities for young people to engage with current research and challenges, including hosting the Smallpeice Trust rail engineering residential course, bringing together 10 teams of 15-17-year-olds over four days to take part in competitive challenges that saw them designing, building and testing their own electric-powered locomotives, running them on the Institute’s test rail track. 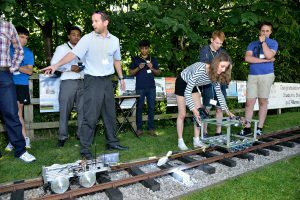 The course provides enthusiastic young people with the chance to engage with railway research and consider career opportunities they may want to pursue in the future. Running from September 2016, a new MSc programme in Railway Systems Safety and Risk will secure the rail industry’s safety skills gap in the future. There is concern within the railway industry that the age profile of its current engineers – many now well into their fifties – could result in a skills gap. With passenger numbers soaring and massive projects such as HS2 and Crossrail 2 in the pipeline, rail travel is of burgeoning importance. Now, the University of Huddersfield launches a course to shape safety experts to play a key role in ensuring that our railways remain as safe as possible. 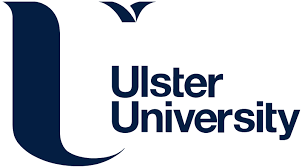 By launching a postgraduate degree course in Railway Safety, the University will also help to fill a looming skills gap that could otherwise slow down the pace of modern railway development. 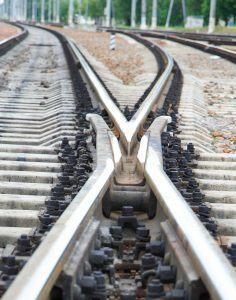 When the new MSc in Railway Systems Safety and Risk gets underway in September 2016, it will be the first in the UK to combine safety and risk sciences as an independent discipline with railway industry applications. This contrasts with other courses that take an HSE-based approach or an engineering approach. Developed in partnership with experienced industry partners, the course’s stated goal is to create the learning environment for students to develop into inspirational experts with specialist knowledge of rail safety issues. The emphasis on academic skills will also make them attractive to other high risk industries. The Institute was awarded its first contract under the UK government’s HS2 high-speed rail project, supporting important developments in a new era of high-speed rail travel in the UK. The Research and Enterprise team, led by Dr Paul Allen and Dr Adam Bevan, are working on the vehicle-track interaction of a number of high-speed vehicle concepts, which will run at speeds of up to 360km per hour. The team’s simulation work investigates aspects of the system performance, such as ride quality, the forces generated between the vehicle and the track and the likely wheel-rail deterioration mechanisms and rates which might be expected during operation on the new high-speed network. In addition to working on the government’s HS2 project, the Institute is also working closely with the Rail Safety and Standards Board (RSSB) as part of a partnership which launched in 2013. This partnership allows IRR and RSSB to share their resources and skills to inform decision making and risk prediction through system and engineering risk modelling. Equally funded by both organisations, the £5 million five-year programme develops new research and techniques to fill current gaps in system and engineering risk modelling, as well as issues around human capital, and educating the next generation of railway professionals.